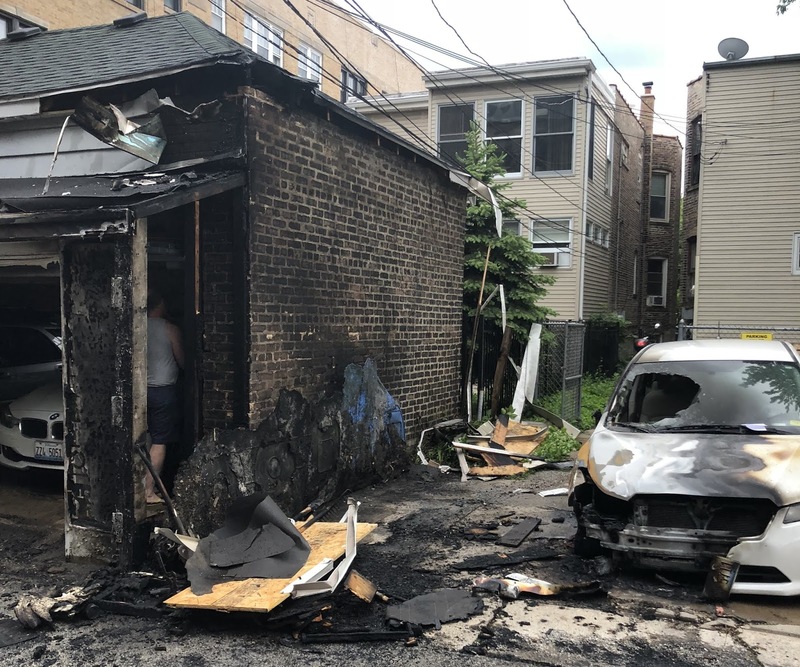 An early morning fire in a Boystown alley on Friday is under investigation by Chicago police, according to the department’s Office of News Affairs. No one was injured in the fire. There have been no arrests. Police said a 61-year-old man was lying in bed when he heard a popping sound from his window around 4:40 a.m. in the 800 block of West Waveland. He looked outside and saw a garbage can on fire in the alley. The fire spread across a row of garbage cans to burn wooden portions of a nearby garage. Also burned were a discarded recliner and a car, according to a nearby resident.